The Gannett chain was the most voracious acquirer of local papers in the news business, said Brooke Sutherland in Bloomberg.com. Now “the hunter has become the hunted.” The hedge fund Alden Global Capital this week offered $1.4 billion to buy Gannett, which publishes USA Today and dozens of other daily papers across the country, including The Arizona Republic, the Milwaukee Journal Sentinel, and The Cincinnati Enquirer. Alden’s subsidiary, Digital First Media, already has a growing roster of papers—including The Denver Post and The Orange County Register—and a notorious record of decimating newsrooms. Alden believes that “the future of newspapers lies in consolidation and the cost cuts that it enables.” That strategy of buying and cutting is exactly the one that Gannett pursued as it grew into the biggest newspaper owner in the country. Alden is following Gannett’s own logic, taken to its furthest extreme. So far, wherever Digital First has gone, “a bevy of job cuts” has followed. If Alden succeeds in its bid, it will be a waking nightmare for anyone who cares about newspapers, said Tim Grobaty in the Long Beach Post. A “vulture-capital scavenger firm,” the hedge fund takes a simple approach: It acquires struggling papers and “wrenches every last suffering dollar out of them through layoffs and cutbacks until all that’s left is a ghost of a newspaper that once faithfully covered its community’s politics, schools, sports, and events.” It has done so in California, where the once proud San Jose Mercury News is a shadow of its former self, and in Denver, where Digital First’s newsroom bloodletting at the Post led to a staff uprising last April. The potential deal “stoked fears that an industry already reeling from years of cutbacks could be in for even more severe cost-cutting as financial owners become bigger players,” said Keach Hagey and Lukas Alpert in The Wall Street Journal. In a time of flux in the news business, “financial companies, private equity, and hedge funds have gotten in on the action aggressively,” and now own or manage four of the nation’s 10 largest newspaper chains. “If Digital First and Alden Global get their hands on Gannett, they will do what they always do: cut till it bleeds, and then cut some more,” said Joe Nocera in Bloomberg.com. 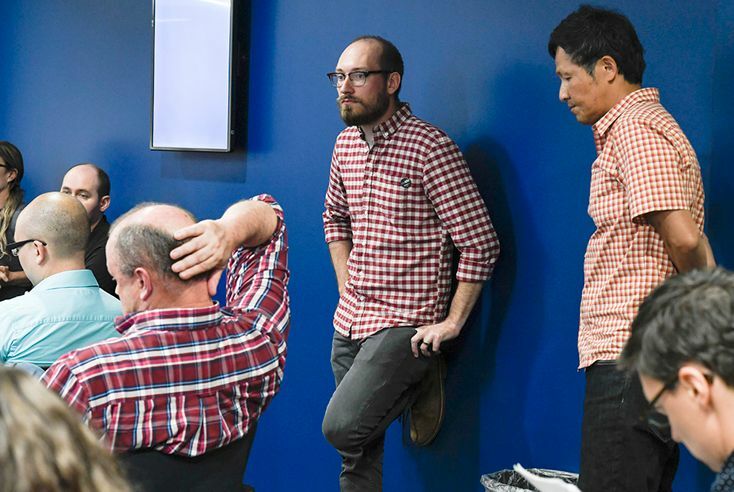 There’s an irony here, because Gannett itself “was never afraid to cut costs.” But it was “always mindful that it was in the journalism business.” In 2018, three of Gannett’s journalists even won Pulitzer Prizes, a coup for a company whose journalism was often disdained. Alden couldn’t care less about Pulitzer Prizes. What it cares about is making “cuts deep enough to ensure profits.” The hedge fund is “unusually naked in its strategy of extraction,” said Ken Doctor in NiemanLab.org, “investing as little as possible in the business as it harvests some of the highest profits in the industry.” Two years ago, it would have been unthinkable that the giant Gannett would be up for grabs, but “all bets on the conventional wisdom of newspaper ownership are off.” Newspapers are in a state of “unending downturn,” with hedge funds and billionaires circling a shrinking industry in which “anyone with dollars and the appetite” can buy up the business.